Jessica, here's to you. We've done a lot of shakin' and stirrin' in pursuit of the right custom recipe. And, oh yeah, we had to sample a bit to make sure it was perfect--tough work, but someone's gotta do it, right? Now, here it is. Grab your bottle of TOPO, mix and savor. We really hope you enjoy it. We'd love to hear what you thought about your new cocktail. 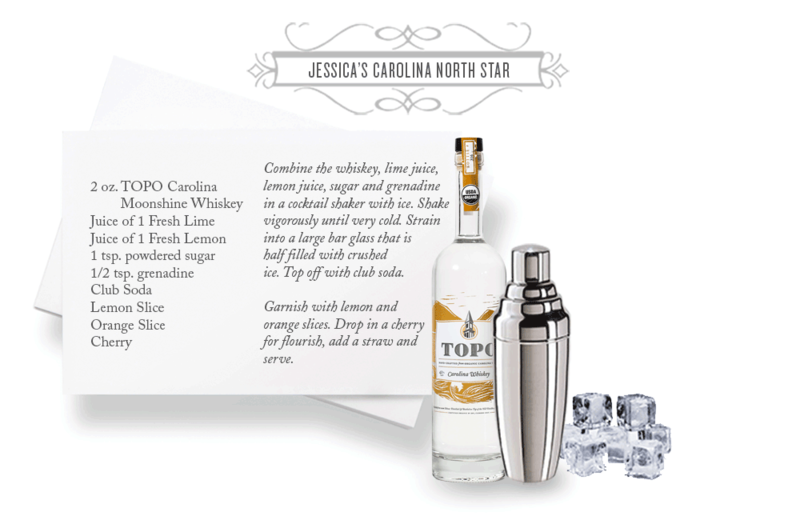 How did you like Jessica's Carolina North Star?